Summer is coming! Summer can be a lot of fun, but there are a lot of aspects of summer that might leave you scrambling. 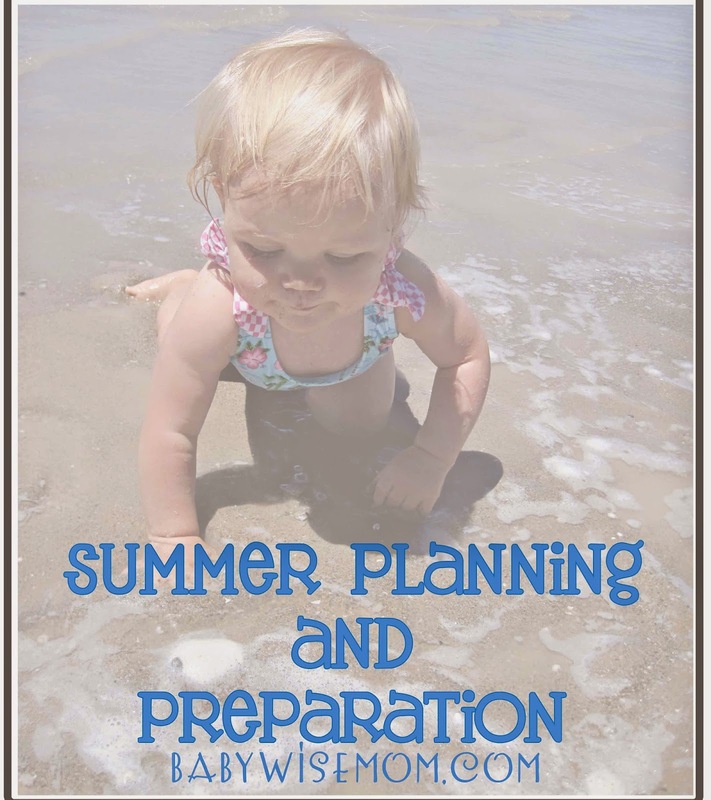 Here are some ideas to help you plan and prepare for summer and summer activities. Some people like a lot of structure and planning and others like to live more spontaneously. Don’t feel like you need to change your own personal preference if what you are doing is working for you and your family. Something to keep in mind is that children often test limits and boundaries when there are changes in life–be sure to read through this to be prepared for limit pushing this summer: When Kids Push The Limits (Dos and Don’ts). Here are some ideas for your summer. Summer setback is a real thing. As my children have gotten older, I have learned summer setback can apply to more than just reading skills. I originally started writing this post and this particular section got to be too long, so I made it into its own post. You can read all about Avoiding Summer Setback in All Areas here. A great thing about summer is the ability to have no plans and just go with the flow. I like to find a balance between relaxing but also having certain things planned. When I plan nothing, I often find a month goes by and we did nothing we really wanted to do. There is value in having a plan. The trick is allowing yourself to change that plan without hyper-ventilating like many of us are prone to do. We have found we enjoy summer camps. They aren’t for everyone because some people like to have as little commitment in the summer as possible. We like them because it is a way to get to try out an activity and decide if it would be something the child would like to pursue on a more regular basis. It is also a fun way to get some extra time doing something the child loves. It can be a way to get further instruction in an area. We also would be the type to go crazy if we had nothing planned all summer. Last summer, McKenna took a ballet class camp. She loves ballet and I wondered if she would like to go to a ballet only studio instead of a studio that does other styles, like tap and jazz. She enjoyed the ballet class, but didn’t want to give up the other styles. This summer, she is trying a cheer class to see if she would like that instead of a dance class this fall. Kaitlyn loves to take art classes during the summer. We have a place locally that offers art camps and specific art classes throughout the summer. She has loved this. Brayden really enjoys doing golf camps. He likes to golf and a golf camp is a way for him to get some instruction and some fun playing time in. If you decide to do a camp, I highly recommend seeing if a local friend of your child’s wants to do the camp, also. You can then carpool. This makes it even better! The child gets to go and have fun and mom doesn’t have to load up the entire family to drive the child to the activity every time. Kathee you are so welcome!